The dong train returns to Dodger Stadium on Monday. The 10-game homestand begins with a four-game set against the Cubs (42-33). Chicago took two of three last week in the windy city, but the Dodgers (41-35) are firing on all cylinders. They’re coming off a sweep of the Mets in New York that included a home run barrage that led to the deaths of seven baseballs, tying a National League record. If you already stashed your Dodger gear away after their lackluster start to the season, it’s time to brush off your 2011 Matt Kemp shirsey. They’re good again. 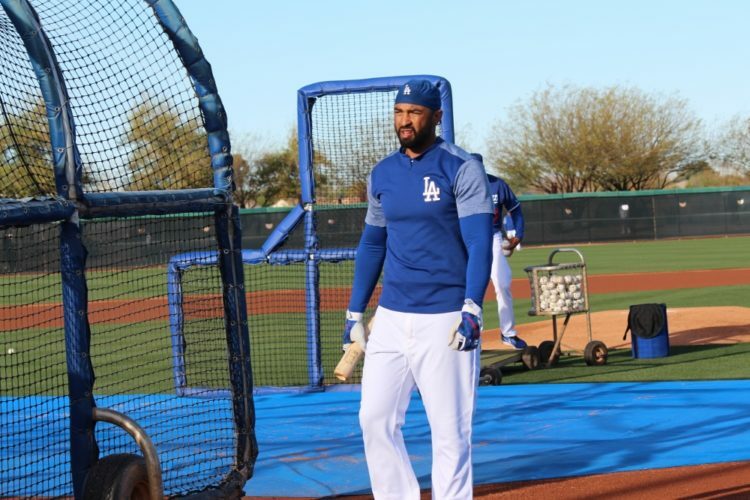 Kemp has certainly amassed an impressive body of work this year including six home runs in the month of June. Another impressive body of work goes to Yasiel Puig who’s featured in ESPN The Magazine’s The Body Issue. Overall, the Dodgers should be very proud of all their dongs this month. On a more serious note, Kenta Maeda (4-4, 3.84 ERA, 3.22 FIP) gets the ball for the series opener against the Cubs Monday night. He only lasted 3 2/3 innings in his last start against the Cubbies at Wrigley field. His command was shaky, and he allowed three runs on five hits with two strikeouts and five walks. This will be his third start since returning from the DL with a right hip strain. Rumblings of moving him to the bullpen are once again stirring up. With some of the Dodgers other injured starters set to return soon, it would be imperative that Maeda puts in a solid start to open the homestand. The Cubs will call up Duane Underwood Jr. to make his MLB debut. Chicago’s second-round draft pick in 2012 went 3-7 with a 4.27 ERA in 14 games (13 starts) for Triple-A Iowa. The 23-year old right-hander struck out 60 batters while walking 20 in 71 2/3 innings. Some injuries and inconsistency have hampered Underwood, stalling his progression. He’s been in the Cubs’ minor league system for seven years, since he was 17-years old. Michael Ernst of Cubs Den wrote about what to expect from Underwood in his MLB debut. Chris Taylor is once again not in the starting lineup. He hasn’t started a game since Wednesday. Chris Taylor pinch hit twice over the weekend but hasn’t started since Wednesday, still dealing with hamstring tightness. Dodgers taking it slow. A reminder that the first three games of the Dodgers-Cubs series will also be broadcast on ESPN, and the games are not blacked out in L.A. on Monday and Wednesday. The Dodgers have been offensively ridiculous this month. They’re slugging .527 with an OPS of .868 and have hit 46 home runs, best in the majors. They need seven more long balls to match their best month, June 2017. They collected 53 homers that month. They still have six games to do it.